At the North Carolina CTA Winter Meeting in March, awards were presented for outstanding service to the Christmas Tree commodity in North Carolina and for outstanding educational awareness to the praises and problems associated with Christmas Tree production. Harry Yates presented Sam and Margaret Cartner with the NCCTA Outstanding Service Award and remarked that nobody has given more to NCCTA than these two. The family name “Cartner” in North Carolina and in the United States means Christmas Tree ambassadors and encouragers. 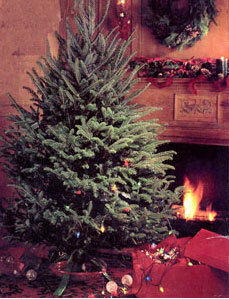 Sam and Margaret Cartner have been involved in Christmas Tree production since the 1950s. They are familiar faces at both national and state meetings and they do not just attend, they contribute and listen and learn. Margaret and Sam have always opened their Cartner Christmas Tree Farm to researchers from North Carolina State University (NCSU), to reporters who need to understand what Christmas Tree farming is all about, to college students who want to write a paper about Christmas Trees, to the many families who visit their Choose & Cut farm to select their family tree and then return year after year to see the Cartners, and to countless others who have questions and want to talk about the history of Christmas Tree growing in North Carolina. The Cartners’ sons, David, Sam C., and Jim, are actively involved in the family business. Margaret remains very active on the NCCTA Choose & Cut Committee.